Each time we go to Yellowstone we look for violet-green swallows around the Old Faithful area. As with many types of swallows they like to nest under the eaves of building and there are plenty of spots around Old faithful for them to nest. 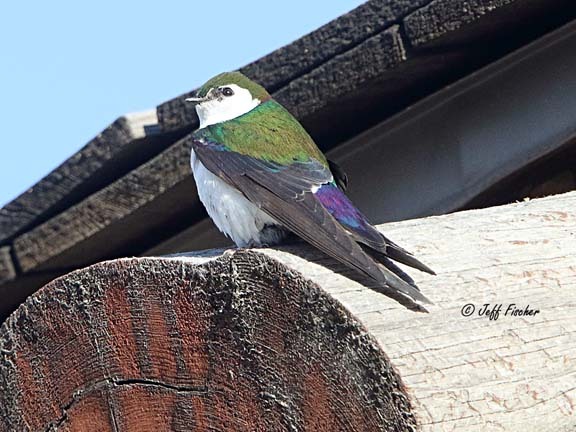 The violet-green swallow is a bird that is found through out the western half of North America. They breed as far north as Alaska and as far south as Mexico. Since they eat primarily insects which they catch in the air most of them migrate south for the winter down into Mexico and Central America where there are plenty of bugs to eat. Birds that breed in parts of Mexico are typically year round residents. Even though they seem to breed in Yellowstone we do not see them every time that we go. It usually depends on how long the winter lasted, whether they have returned by the time we arrive at the end of May. This year we found none at Old Faithful but there were quite a few flying around West Yellowstone where we stayed. Never ever seen theses in Canada the bird. Beautiful vibrant. I wish I could see one like that sometime. 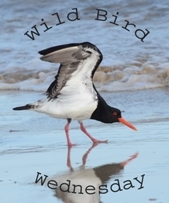 Loved learning some about this beautiful bird! Great shot too. That's a mighty impressive bird. I've need heard of one before. How pretty! I'd be on the lookout for those, too!